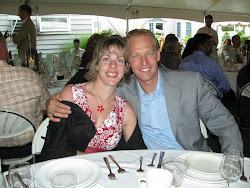 Catherine, congrats! I have emailed you already. Everyone else, please check in again for another giveaway come September. 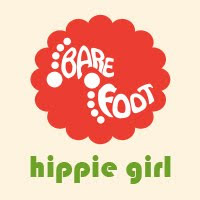 What with the busyness of school starting, we'll all be in need of some foot pampering. I'm telling you, friends, I should have been born in a different decade. I'm thinking the 1950s would have been a great time to be alive, and to be a grown woman. The style was classic. Fitted bodices and waists with flowing/pouffy skirts. I love the dressed up/dinner party/clinking china/bridge culture. (though I've never played bridge) I am totally on the beautifully set table wagon. For as long as I can remember, I loved china. My mom has a beautiful set that we never used. EVER. Okay, so I can appreciate her rationale. With eight kids hand washing the dishes, that is a lot of potential breakage and chips. But I enjoyed seeing her dishes in the cabinet. It was gorgeous. While we may not have used the china, we did use the good flatware. My mom has an Oneida pattern. I can't recall the pattern name, but it is pretty sleek. And mom has every piece still-even after being married 39 years. 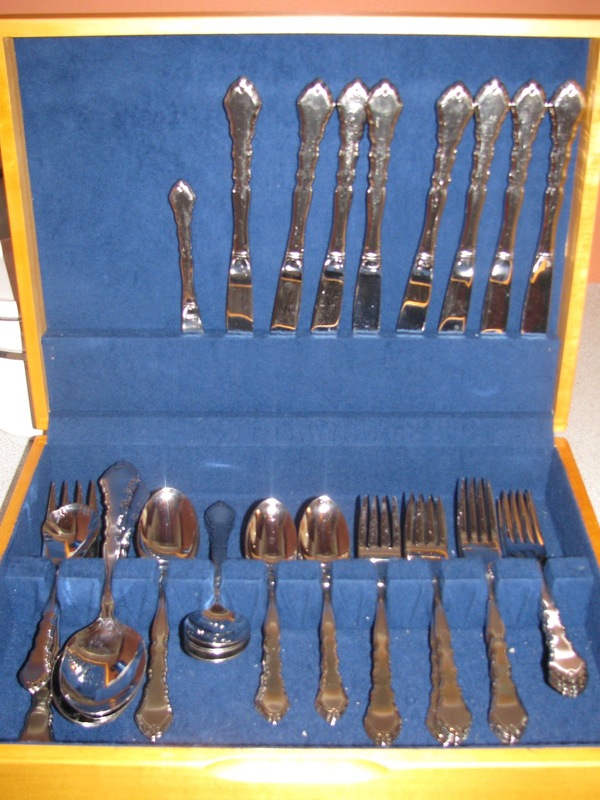 Every time we used the silverware, mom would count the pieces. Not because she thought guests were going home with a spoon in their purse, but because, having eight kids hand washing the dishes, she wanted to make sure that none ended up in the garbage. Anyway, statically speaking, china, silver, and fancy table service is going the way of the Do-do bird. 15 years ago, 85-90% of brides would register for fine china. Now, the percentages range from 45-50%. When Mr. Hippie and I tied the knot, I decided to have my cake and eat it too. I wanted to have nice dishes that I wasn't afraid to use. I wanted to be able to set a beautiful table, but not spend all night washing dishes. Not perfect. At Windsor Castle they use a ruler to precisely set the table. I registered for a more expensive stoneware set. It wasn't a set that you bought by the place setting. But neither was it a box of 8-12 settings for $50. It was a midrange set that has done me well. It is dishwasher and microwave safe. And, after almost 11 years, I have all the pieces. A couple chips-no breaks. I actually have 3 sets of dishes. I have my dishes. I have a huge set of Delft blue that a sweet old lady at the nursing home gave us. 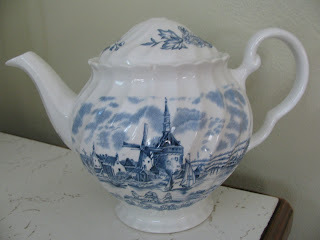 (she decided that we needed her Dutch dishes, because we are Dutch. I didn't have the heart to tell her that I am not Dutch.) 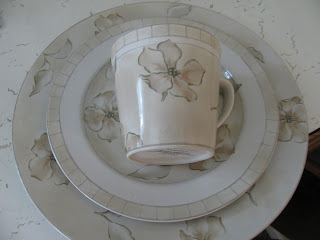 And I have my Granny's china. My Granny and Grandfather were totally the "50's" stereotypical couple. They held dinner parties for all their friends with the silver and crystal and china. Women in beautiful frocks. Men in suits smoking cigars. Cards being played. And, yes, some of the pieces got broken. But they also got used. This is fine bone china. And it is the complete deal. 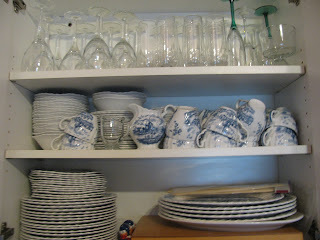 Dinner plates, teacups, saucers, bread and butter plates, salad plates, little and big bowls. It is delicate. And fancy. And when I set my table with it, I feel connected with my family. And with the community who used these dishes in years gone by. When I haul out the over 20 Delft plates for our employee Christmas party, when I serve up Wedge salads on the square salad plates, I feel blessed that someone thought of me, and gave me this set. Not to sit in a cabinet, but to be used. When I use my dishes, I remember the fun Mr. Hippie and I had picking out the pattern. How he encouraged me to go beyond plain beige in matching the linens. How we picked out brushed nickel rings to match my silverware. The silverware that is stainless. And that my Grandma bought me for high school graduation, and my wedding, and a few other occasions in between. An Oneida pattern. Two-toned Satinique. I love my flatware. I have "silver-silver" too, but this post is long enough. those cups look precarious and jumbled. Who's idea was it to take a photo of the inside of my cupboard? 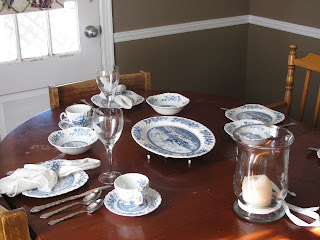 I want to say right here and now-there is nothing fundamentally wrong with using china, silverware, linens and flatware. There is nothing fundamentally right with it either. It seems in our culture of putting everything out there in the world wide web, if you do something, or don't do something, you are attacking the opposite position. There is nothing to attack or feel defensive about here. If you are one of the 50% who would rather not-no sweat off my back. A fancy table and settings is not a requirement for showing hospitality. 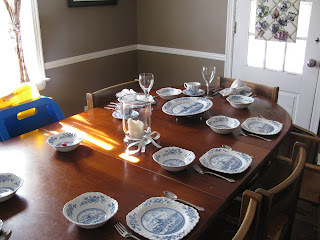 Setting a fancy table can be a challenge with young children. Do what is comfortable and fun for you. Set it for the young ones too. They feel special when allowed to use the special dishes. And they do try and be careful. 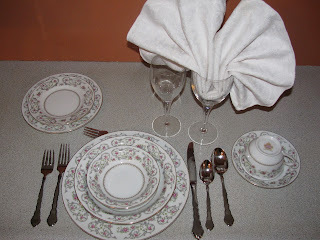 I don't give them the full setting, or generally not the real linens either, but they do get nice plates and silverware. And they feel sophisticated. 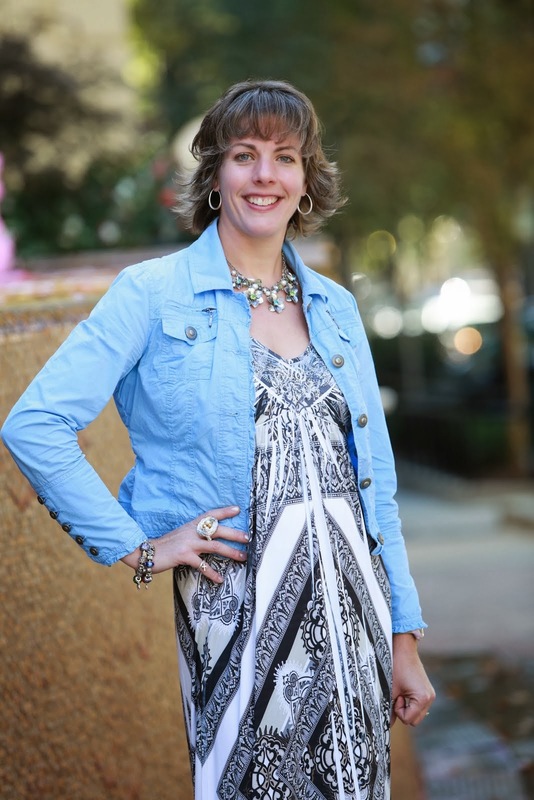 For more great ideas about entertaining with kids, check out Johanna's practical pointers. To quote Mr. Perez again, "Your table is your label. It's who you are. It's telling your story. 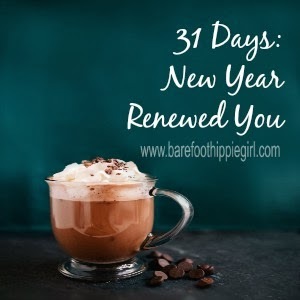 It should be treated like a little black dress; dress it up for New Year's Eve or down for Friday night." Let your personality shine through your table. If you are a no fuss, fancy isn't worth it kind of gal, that's just fine. That is who you are. But, underneath my streamlined Barefoot Hippie Girl persona, I am a fancy dress/fancy dishes/dinner party kind of 50's girl. And, if you have dinner, or brunch, or breakfast, or lunch at my house, you are probably going to see lots of dishes and stems.